Brand stories, according to a recent article by the American Marketing Association “build stakeholder affinity and influence action”. Not just any brand stories, though. A brand story must intrigue potential clients to be effective. Videos, the association adds, “drive home points and add interest.” That may be true, but to create true intrigue, businesses must follow the same rules professional film producers do to make their brand stories come alive. Address your customers’ challenges in your videos. Experiment with audio and visuals when telling your brand story. Make videos so impactful that they elicit the maximum positive emotions from viewers. Add an original or unique brand touch. Just like your favorite movie, a good story starts with a seemingly insurmountable challenge, says English. In a brand story video, that challenge should be one your customers face. An itch they just can’t scratch. A mountain they need to climb—if only they could. A competitor that beats them at every turn. Make sure your video isn’t like your competitors’. If you need script ideas, hire a freelance screenwriter—or even a creative copywriter—to come up with some original ideas to set your business apart from the pack. Use bold images. Push yourself beyond your comfort zone to tell your story. If fear is a factor in your reluctance to avoid creativity, take an afternoon and watch the most effective commercials of all time on YouTube or your favorite video platform. They didn’t achieve success by playing it safe. As long as you stay within your brand’s values, you’ll tell a more powerful story. Or just watch some Disney videos. A talking mouse? Who would have thought that a wisecracking rodent could rise to become one of the most recognizable characters on earth? Think about your favorite TV ads. That luxury car winding down a snowy road as holiday music plays in the background. Pure freedom. Pure serenity. An escape from your stress-filled life. You want that. The husband who buys his wife a stationary exercise bike for the holidays but can’t resist sneaking out to his storage shed to use it. All the while, unbeknownst to him, she has discovered the gift and sneaks out to the shed herself for some pre-holiday workouts. Who wouldn’t want a gift you could use for yourself on the sly? The single mother who receives a flower delivery from her Navy commander son, together with a video greeting card that allows the giver to record his heartfelt thanks for her struggles to provide for him as a child. Who wouldn’t want to send their mother such a greeting? Serenity. Comedy. Tears. These commercials use emotion to create the desire to buy. Do that, and you’ll have hooked your viewers. Your brand story is what you can do to solve your customers’ problems. Put it into a story that grabs them by their heartstrings. Don’t make your video promise what you can’t deliver. Show real customers whose problems you’ve solved. Or illustrate their stories in a video if they don’t care to appear on the silver screen. The power of persuasion wilts when you don’t deliver on your promises. Remember “Read My Lips—No More Taxes?” That line featured prominently in that politician’s opponent’s ads. Ouch. That candidate, whose campaign speeches promised the impossible, fell to his rival. If only he had made promises he could have kept. Don’t let this happen to your products and services. Never overpromise what they can do. Ask your team what value your products and services bring to your customers. What problems do they solve? Ask what values your company stands for—what sets you apart from others in your field. The answers to these questions will guide you in choosing a topic and storyline for your video. English even advises companies to brainstorm the kinds of sound and visuals that best illustrate their brand. Listen to lots of music and other sounds. Whether it’s the soft whoosh of a four-wheel drive navigating through the snow or an exquisite aria, find your auditory sweet spot. Colors and images, too, are important to review with your team. English tells his clients to build a collection of audio and image files (called a “mood board”) that reflect your brand. Try to incorporate those sights and sounds into your marketing videos. It may sound cliched—something your high school English teacher pounded in your brain—but it’s effective. What it means in video production is to use actions, sounds, and vivid background images to tell your story. Keep your wording sparse. In marketing videos, as in film, less is more. Study the techniques effective commercials use to tell stories. Turn off the sound. Observe the visual storyline in each. Then, turn the sound back on. What kind of wording do they use to enhance the visuals and the underlying story? You’ll find it’s not an extensive list of all the benefits your product brings to its users. It won’t be all the scientific reasons that make your patented process superior. It will be the stories of those who use your product or service to solve their problems. Feature only those facts you need to get your point across. English advises his clients to look at the finished video and imagine it with their competitors’ logo in it instead. 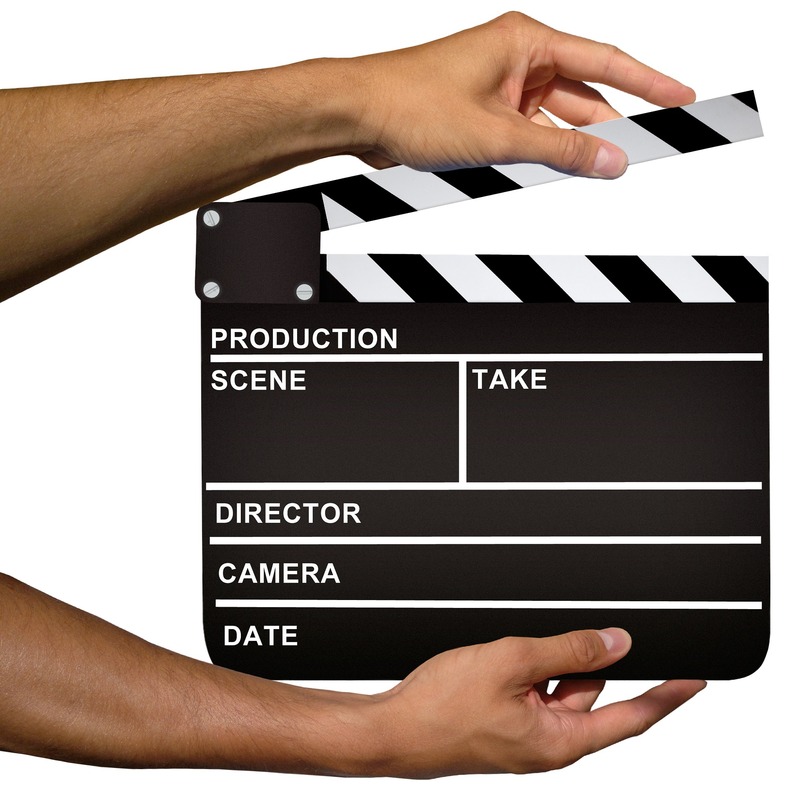 Will the video still tell your company’s story? Or would it fit your competitor’s story just as well? If it’s not unique enough that it would seem off-putting with your competitor’s logo, he says, you need to rethink your storyline. Ask your team what about your video is so generic that it would serve your competitor just as well. Find what sets your company apart and feature that in your new story. When you do that, you’ve hit the marketing jackpot. That jackpot is huge. An oft-quoted study found that consumers remember 95 percent of an advertiser’s message when it’s in a video. Text ads only produce ten percent recall. If you use video in a blog post, they say, you’ll receive three times the inbound links as a post without the videos. Translate that into revenue, and you’ll see why video marketing is the most effective way to tell your brand story. Content that converts. That’s our story. What’s yours? I’m in the early stages of trying to build my personal brand for my blog, and I know that video is super important. The hard part is actually doing it well. I’ve found that it’s easy to get stifled into inaction by comparing yourself to the leaders in your industry (even though they’ve been at it for years). What I did to help me get the confidence to step in front of the camera and ship my videos was to scroll back to the very first video’s people ever published on YouTube. Everybody starts with zero experience, zero followers, zero views. You’ve just got to embrace it, and lean into your fears. Hi Rowan – thanks for the insight! Glad you enjoyed the post.